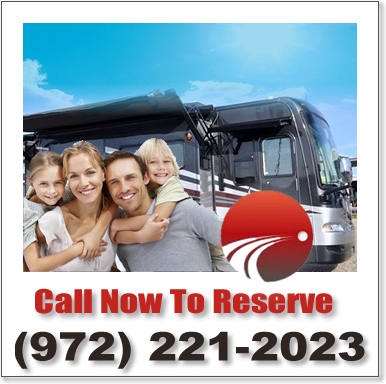 Services - RV Rentals Dallas - Southwest RV Rentals - Luxury RV Rentals in Dallas - Ft. Worth with Unlimited Mileage! Wanting to rent a Luxury RV in Dallas for your upcoming Vacation? Or rent a Luxury Motorhome for your Corporate Event? We offer RV and Trailer Rentals in Dallas, Fort Worth, Lewisville and all across the DFW Metroplex! Our RV Rental Services are available at an affordable price and we offer Unlimited Mileage and No Generator Fees on all of our Rentals. With the largest Fleet of Diesel Motor Coaches for Rent in North Texas, we can offer you the Amenities you want for your special Trip. Vacation RV Rental for Small or Large Families! With RV's that will sleep up to 8, you can bring your whole Family on your Trip. Corporate Event RV Rental. We rent our Dallas Motorhome Rentals for Corporate Events all over the US. Dallas Cowboys RV Rental. Tailgate in Luxury at AT&T Stadium for one of our Hometown Cowboys games! We offer Outdoor Entertainment Centers, Outdoor Grills, Sound Systems, Awnings and more! Texas Motor Speedway RV Rental. Our Luxury Rental Coaches are the perfect way to stay on site at a Nascar Race at the Texas Motor Speedway! Disney World RV Rentals. We rent our Trailers and Motorhomes for trips to Disney World, Disney Land and other Theme Parks across the US. Save money by staying in an RV! National Park RV Rental. Want to get off the grid and travel back into the Wilderness? Many of our RV's have Generators and are outfitted with everything you will need to stay in the Wilderness for days at a time. Family Reunion RV Rental. Want to rent multiple Motorhomes for your upcoming Family Reunion? We can even bring your Dallas RV Rentals to your Location to be ready for you when everyone arrives so call us to find out about Delivering your RV. Don't see the Motorhome Rental Service you need? Give us a call because we proved many Services not included in this List. You can also find Dallas RV Rental Prices included in all of our Fleet listing, included in each separate Motorhome page. Whether you want to go Rving across the US, or just across Texas, you will find that our RV Rental Rates can save you money on Hotel Costs, Food Costs and Entertainment Costs. We price our RV Rentals so that you can take your whole Family on your Trip.